Most families I work with want to help their kids pay for college, and with annual price tags that can reach over $70,000; most students have to take out loans. The latest numbers say 71% of college graduates will have some kind of student loan. For most families, the question is what kind of loan should you get. Here are a number of ways that families may choose to pay for a college shortfall. While each of the above loans has positive aspects, I recommend avoiding Parent Plus loans. Parents usually get parent plus loans because they think they are doing their kids a favor by keeping loans out of the student’s name, but they may be doing more harm than good. The best way, in my opinion, to avoid Parent Plus loans is to have a plan to pay for all four years of college BEFORE you child goes to college. Here are seven reasons to avoid Parent Plus loans. They can be dangerous because of the abbreviated application. Typical loan underwriting will analyze income, debt, credit, and other factors. The only thing evaluated for a parent plus loan is a person's credit, leaving out all of the other factors that indicate whether or not a borrower can repay the loan, which could be the most important part! This reason alone is why Parent Plus loans are so dangerous. Parent plus loans have interest rates of 6.31% for the 2016-17 school year. Not only do they have high interest, but they have an origination fee of 4.272%, as well. If you compare that to the student loan rate of 3.76% and origination fee of 1.069%, they are really expensive. Federal student loans are among the most flexible loans available. They have income based repayments that allow students to make a payment of 10-15% of their discretionary income. Income based repayments are not available for parent plus loans. Many employers will help employees pay back their student loans, however, if the loans are in the parent's name, this will be a lost benefit. Subsidized loans are the cheapest loans to get because of the interest forgiveness associated with them. 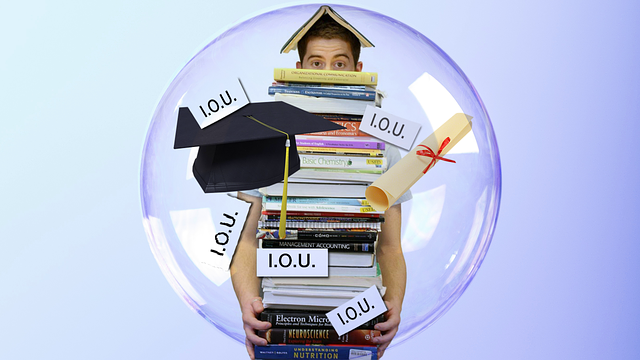 If a student has a financial need for loans in college, then he would likely qualify for a subsidized loan. This makes the effective interest rate of a subsidized loan zero while the student is in school versus 6.31%. If a parent wants to pay for their kid’s college loans, there are easier ways to do it. A better way would be to get a loan in the student's name and then make payments on the student loan. If it is necessary to take out more than the maximum in federal loans, there are other options that may be a better fit than Parent Plus loans. Some local credit unions offer college loans at a fair rate, or a home equity loan may be a better option. 7. Maybe you are spending too much on the cost of college! This opens a whole new can of worms, but if you have to take out more than the maximum in federal student loans then your student may want to look at alternatives. You may want to search for a different school with a lower price tag, or maybe a community college for the first two years is a better way to go. A trade school could be a better fit. These are seven reasons that I rarely recommend a parent get a Parent Plus loan to finance their kid's education. The best way to pay for college is to have a plan before starting college, or even before committing to a college. If you want help with your college planning process, you can email me here.